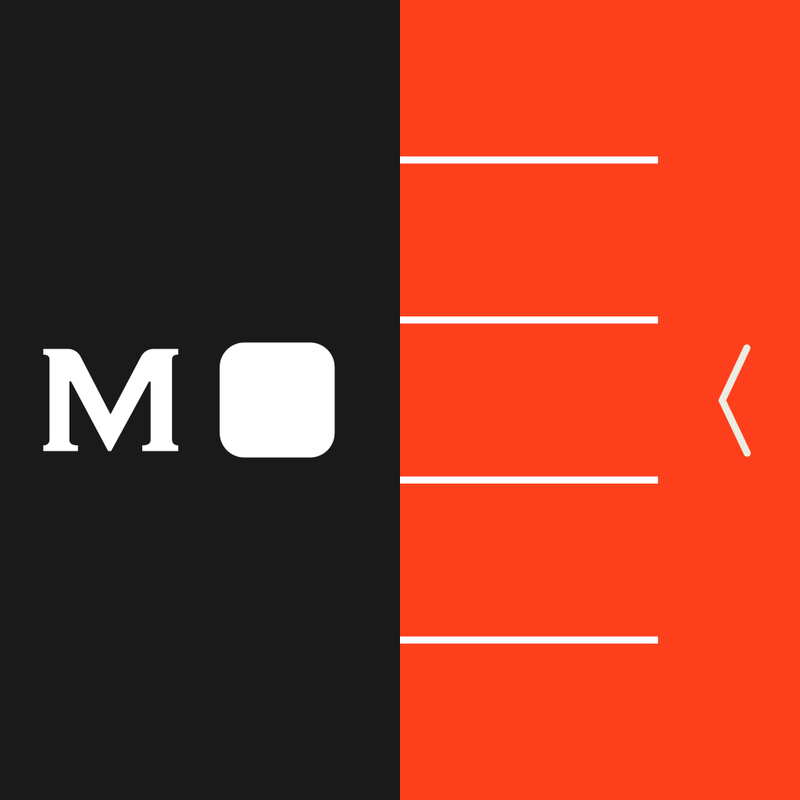 Moleskine Timepage – Calendar for iCloud, Google & Exchange ($4.99) by Moleskine Srl is an elegant solution for getting your calendar and weather in a single app. 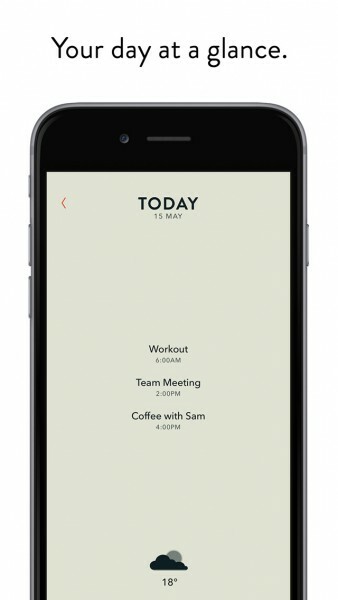 If you’re a fan of the Moleskine style notebooks and wish that you had their classic planner style on your iPhone for managing your schedule, now you can. 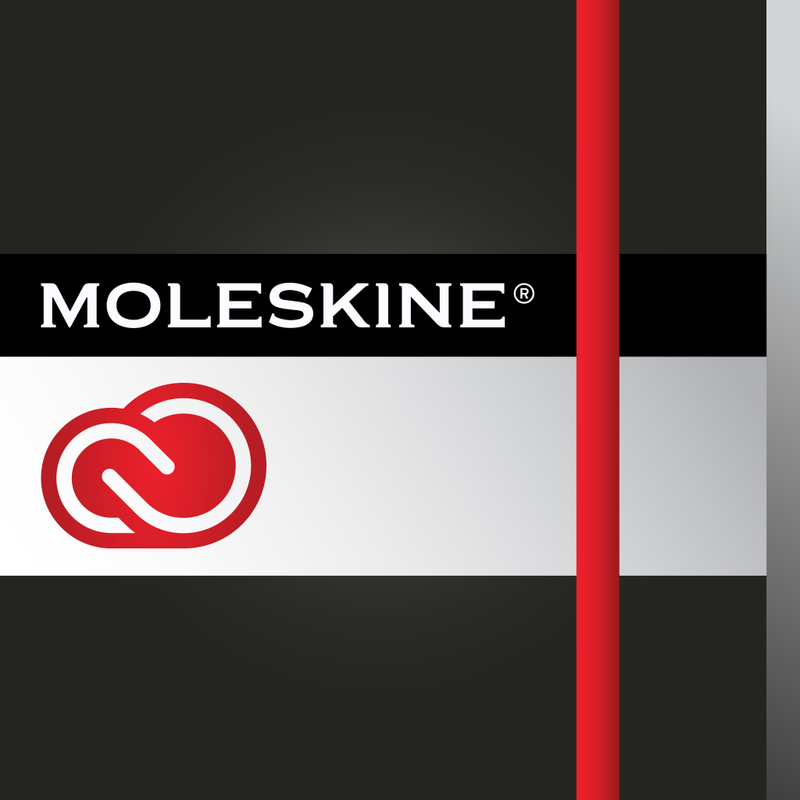 Moleskine Timepage joins the other Moleskine iOS apps including Moleskine Journal and the Moleskine Creative Cloud app. Several years ago, before I started doing everything digitally thanks to my iPhone and Mac, I was a big fan of the Moleskine brand of notebooks. I had a handful of different notebooks in different sizes that I kept around for notes, journaling, and whatever else. I loved the stylish look of the books, and the paper was of high quality. While those days are pretty much behind me as all my note-taking is now done digitally, I am still a big fan of the sophistication that Moleskine is known for. 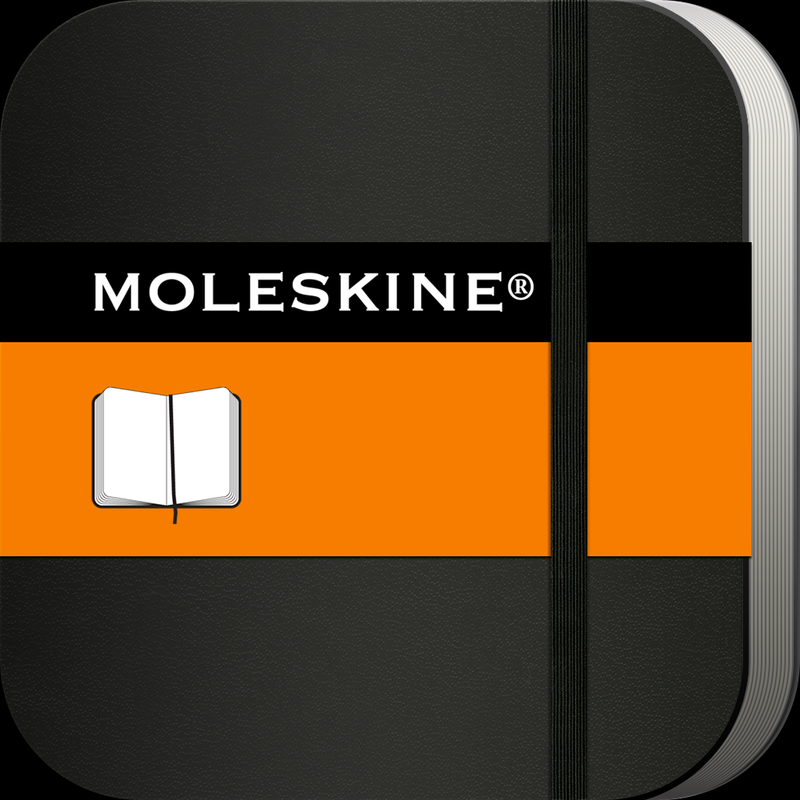 So when I saw the Moleskine Timepage app on the App Store, I was intrigued. 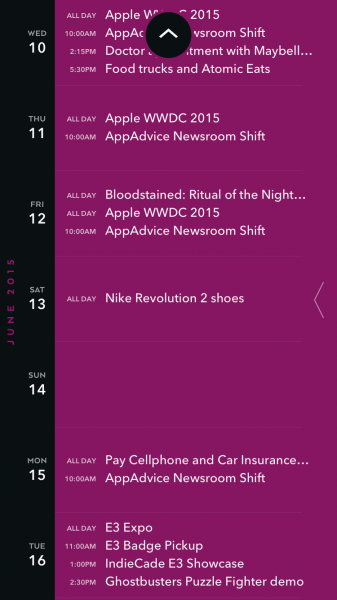 The design of the Timepage app is gorgeous, especially for those who are familiar with the Moleskine planners. 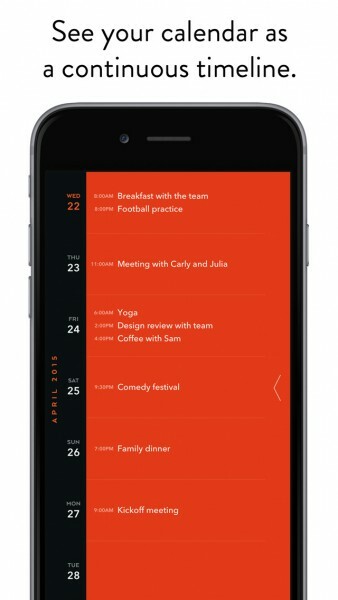 While the app defaults to the red and black color theme, users can customize the appearance of their planner with a wide variety of hues. All of them contrast nicely with the black, and the individual “pages” for each day can be light or dark. The timeline is easy to follow, with the days of the week on the left and a list of events in each corresponding block. The sans serif typeface (Avenir) used looks great and is easy to read. 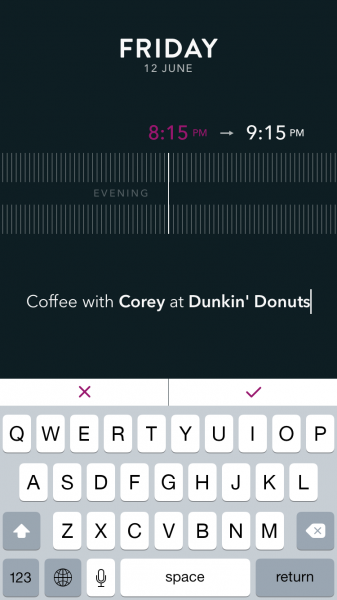 Timepage makes use of natural gestures to navigate your way around, though this can also be done with taps. 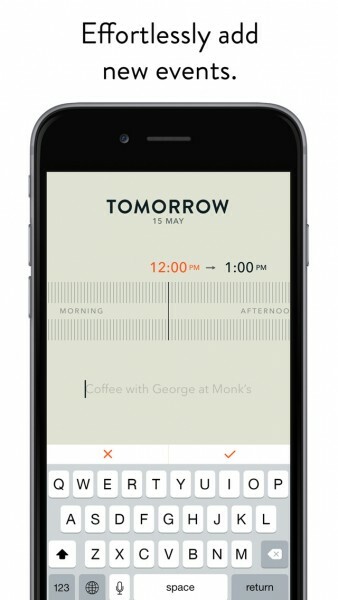 Overall, Timepage has a fantastic motif that Moleskine fans (or anyone who likes chic design) will appreciate. Instead of syncing with the native Calendar app, Timepage requires you to log in to your account for iCloud, Google, or Exchange. 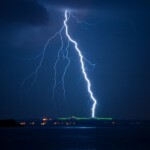 I found this a bit annoying, as I already had my information stored on my device and would have preferred to use that. 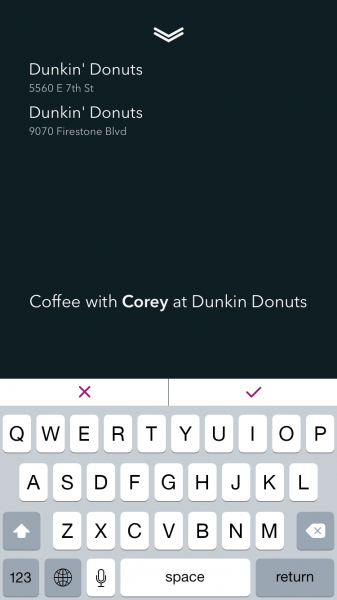 At least the app allows you to log in to multiple accounts if necessary, which is nice. There is a brief tutorial that shows you the basics of using the app, though I thought it was not needed — the app is pretty straightforward. 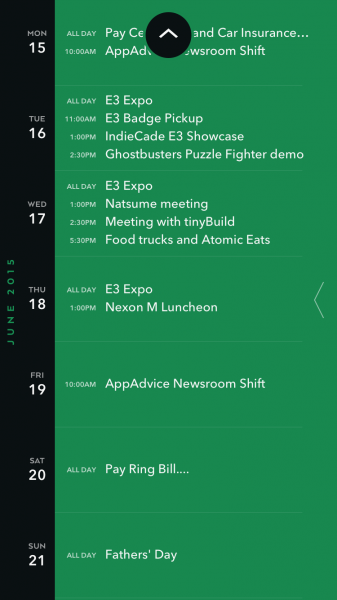 The main view will be the timeline, which lays out your week in an agenda-style list. 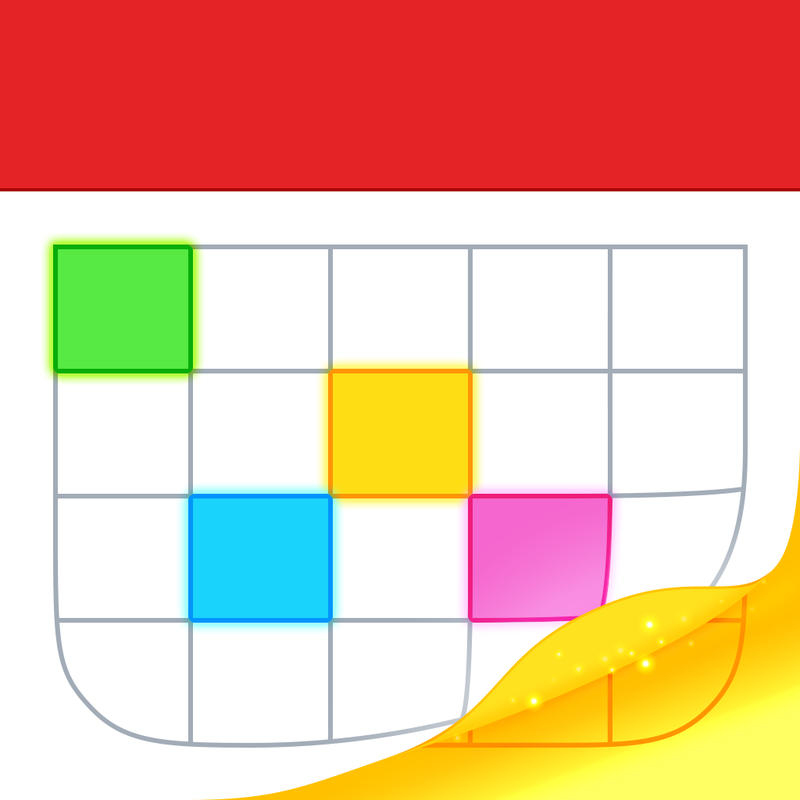 Each block can show up to four events at a time, and if you have more, the app will automatically scroll through the “pages” of evens you have. 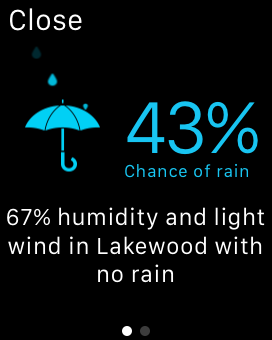 If you swipe from the left edge of the screen, you reveal the weather timeline, which shows weather conditions, high and low temperatures, and precipitation chance. Scrolling vertically on the either timeline lets you see past or future days, and a floating button appears on the top or bottom so you can easily jump back to today. 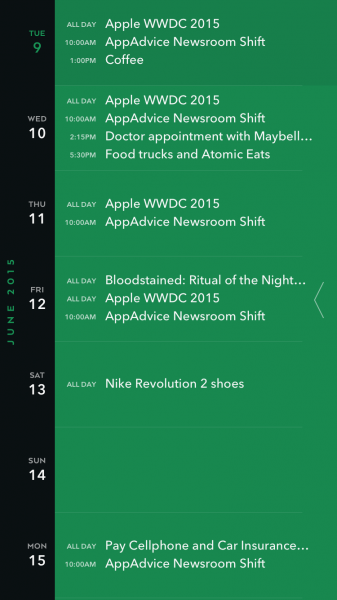 When you want to know more about a specific day, just give it a tap from the timeline. 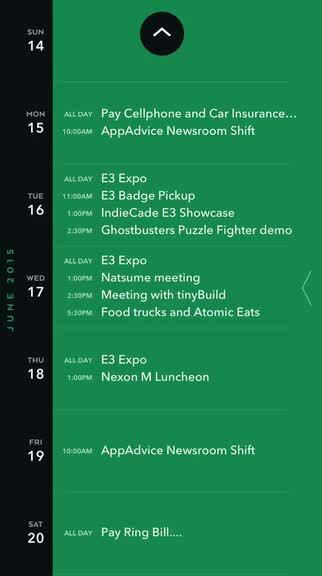 You’ll be able to see that day’s individual page, complete with list of events and weather at the bottom. You can scroll through your schedule one day at a time by swiping left or right from this screen. 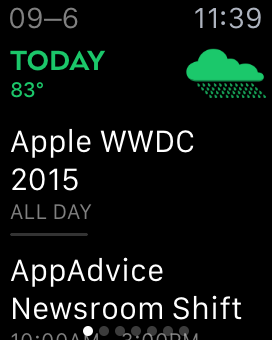 If you long-press the weather icon, you can go through an hourly forecast graph. 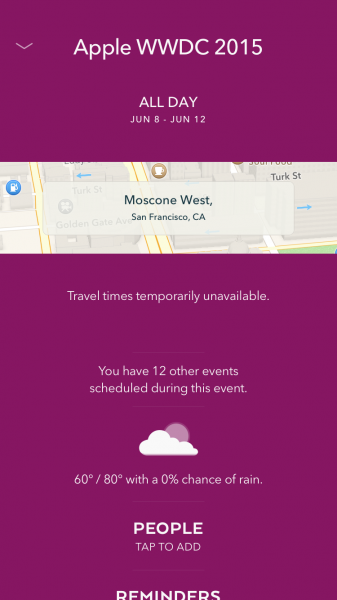 Tapping on an event takes you to the event detail screen, which includes bits of data like maps, travel times, weather, invitees, reminders, repeating dates, notes, and which calendar it belongs to. 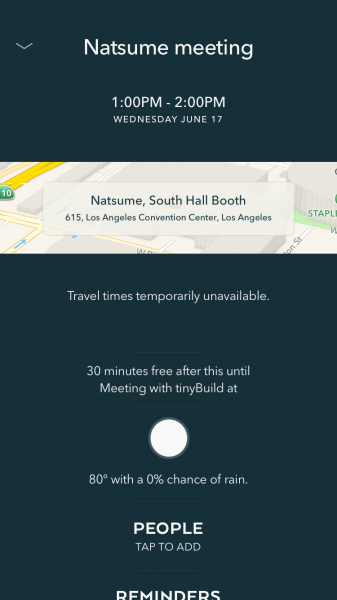 Pulling the screen down from the day page allows you to create a new event in natural language input, and the app can search through your contacts for invitees and find points of interest as you type. The default event creation time means the current time, but you can scrub the bar to change the start and end times. 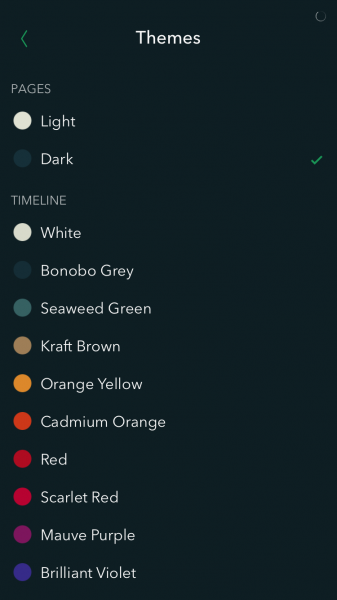 Going back to the main timeline, you can swipe from the right edge, you get access to the app’s settings, which include things like managing meeting invites, accounts, calendars (visible and default), various preferences, and color themes. You can even view the tutorial again if needed. 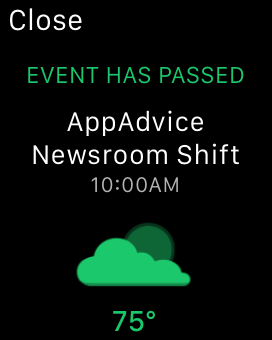 For those of you with an Apple Watch, Timepage can live on your wrist as well. 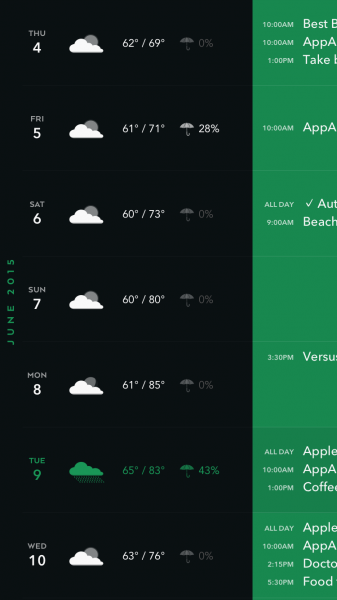 From the Watch app, users can view their next seven days and tap on events to view basic info like weather and a map. Tapping on the map opens up Apple Maps on the Watch so you can get directions (the iPhone app supports Google Maps as well). 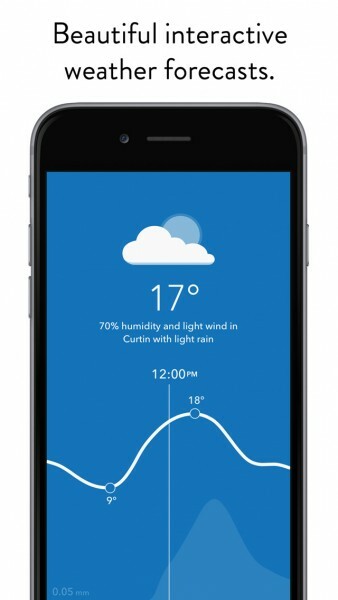 A tap of the weather icon shows you an animated view and an hourly temperature graph. 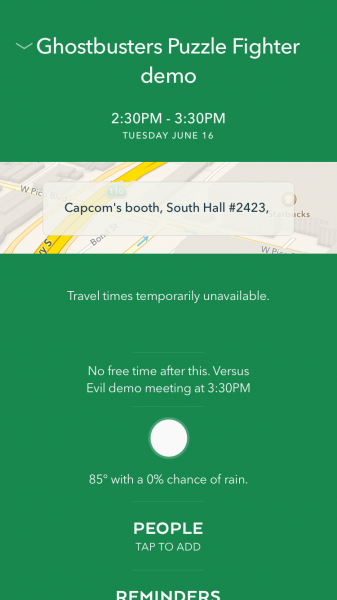 There is also an optional Glance view that you can use, which tells you how long until your next event. 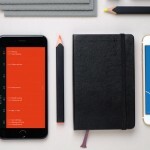 While my main calendar is still Fantastical 2, I have been enjoying what Moleskine Timepage has to offer. I like the simplicity and elegance of the design, since it takes me back to the analog days. 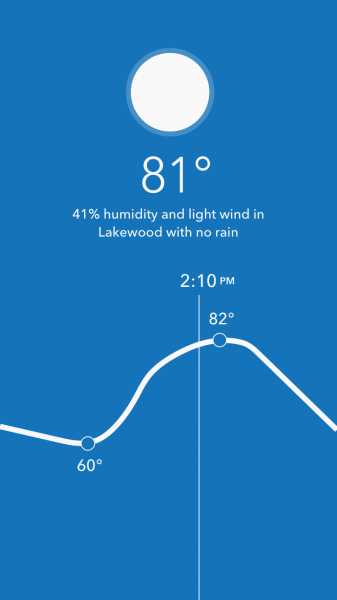 It feels natural and intuitive on the iPhone, and getting the weather with your schedule is always nice to have. 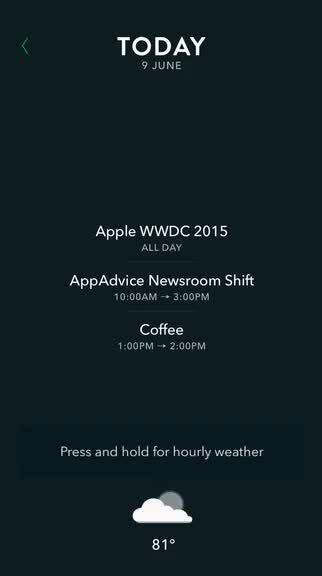 I have had no crashes with the app on my iPhone 6, and any changes in my appointments are reflected quickly. 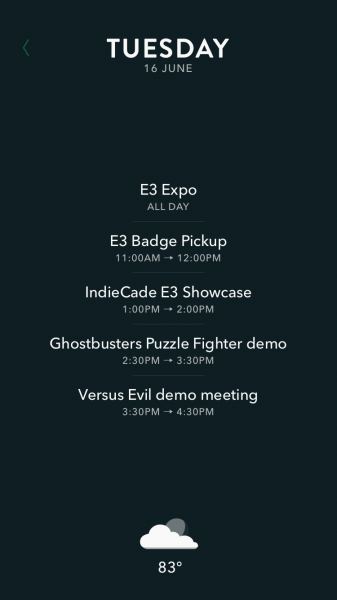 However, there should be a faster way to add events to your calendar, because right now you have to go to a day’s page and then swipe down. It would be more efficient to have an omnipresent button of some kind instead. I also seem to get a lot of “Travel times temporarily unavailable” messages, which gets annoying. Hopefully the developers take some time to fix these issues, as there is a lot of potential here. 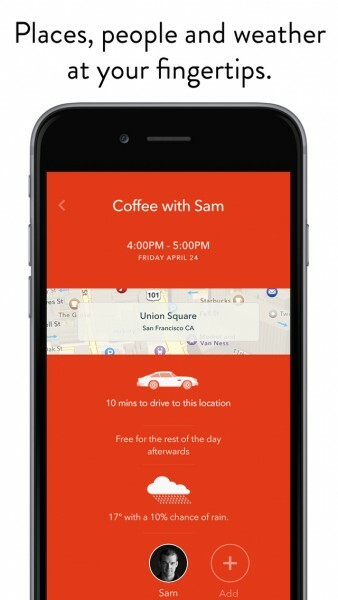 While it’s functional for the most part, I think it’s better to wait for improvements before dropping money on the app. However, if you’re curious about it and want to try it for yourself, it is available on the App Store on the iPhone for $4.99.